Not only are they at the height of the woodworking craft, they're also world-class instructors. With more than 300 combined years of woodworking instruction between them, you're guaranteed to come away enriched, challenged, and excited to apply your new skills at home. Meet the masters who will teach you at Weekend With WOOD. Bob is Franklin International’s Technical Service Manager for the Construction Division, handling all technical aspects of the Titebond-branded line of wood glues, construction adhesives, wood flooring adhesives, and sealants. At Franklin, Bob manages the team that answers customer questions, as well as the technicians tasked with testing of competitive products and new substrates. Bob has worked for more than 30 years in the adhesives and sealants industry with experience in the development of emulsion polymers, adhesive technologies, and development of breathable technology for organic and inorganic fabrics. With more than 30 years of experience, Kevin’s passion for woodworking ignited in a 4-H woodworking class with his dad. Even through college, he helped pay bills by building furniture for clients. After college he spent a few years in the home-building industry before landing in publishing. As Senior Design Editor at WOOD magazine, Kevin is largely responsible for the project selection, project designs, and ultimately the construction of those projects, making sure they are not only timely and stylish but also incorporate techniques and processes that will enhance and increase the skills of our readers. In his spare time, he is in his shop designing and building furniture for his home and others. In 2015, after getting laid off from a tech start-up and searching for a new position, Matt came to the realization that he could pursue what he loved as a career. In short, he turns trees into furniture and documents the process of each project on video, which he shares online. His videos cover furniture design, stock selection, milling rough lumber, cutting joinery, assembly, and finishing. He also discusses hand-tool maintenance and use, shop projects, and even the fabrication of a log-hauling trailer, in the hope that he can inspire others to hone their skills and try new things. Matt lives in Minnesota with his wife Lindsay, their sons JR and Max, and Pancake, his French Bulldog. Find him online at mattcremona.com. Guy has been a woodworker for long as he can remember, falling in love with the craft in junior high school, and has been building furniture since, even professionally. He makes long-format instructional videos on YouTube (and on his own website, guyswoodshop.com) to help woodworkers take their craft to the next level, and he gives veneering classes in his own shop. Between all that, Guy builds custom furniture and cabinetry on commission and co-hosts the Against The Grain woodworking podcast. His days are very full. Jim Heavey has been a woodworker for more than 40 years and a contributing craftsman and educator for WOOD magazine since 1997, where he has had his projects featured and teaches a technique in every issue. 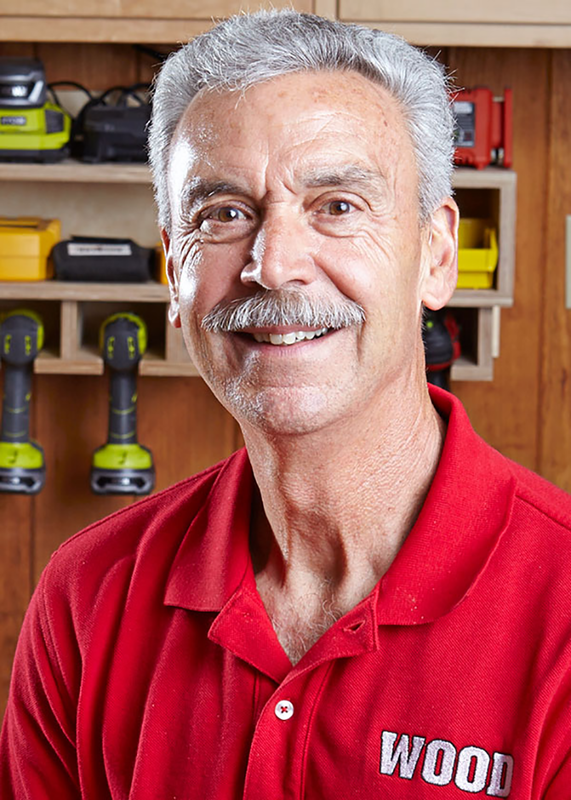 Jim has also hosted a popular series of woodworking how-to videos, and for more than a dozen years has presented educational programs nationally at The Woodworking Shows on behalf of WOOD. In his role as educator, Jim strives to make woodworking fun for both novice and seasoned woodworkers by teaching techniques and providing information that will help them to produce a quality project at any level of expertise. By the time he was 12 years old, his father began building reproduction furniture as a hobby, and Glen’s career path was set. After running his own homebuilding business in cold winters and mud-laden springs, Glen began a new career building reproduction furniture in the comfort of a wood shop, bringing him back full-circle. His passion for period furniture led him to teaching and writing, and he has authored four woodworking books: Building Fine Furniture, Fine Furniture for a Lifetime, Glen Huey’s Illustrated Guide to Building Period Furniture, and Building 18th Century Furniture. Before co-founding the multimedia site 360woodworking.com, Glen served in editorial management roles at both Popular Woodworking and American Woodworker magazines. WOOD magazine Tools Editor Bob Hunter learned his woodworking skills from an early age on an Indiana farm. One of three sons of a farmer/carpenter, Bob helped build houses—even designing two of them—and later began to build small furniture pieces. After getting a degree in journalism, Bob worked as a newspaper sports editor and farmer before joining WOOD, all the while remodeling two old homes and further developing his woodworking skills. Bob’s primary responsibilities at WOOD include producing tool-related articles and videos for the magazine and website. Randy began woodworking in his dad's shop and expanded his skills at Appalachian State University, where he focused on furniture design and construction techniques. His involvement with CNC started in the 90's when he helped select CNC tooling for a start-up cabinet parts factory in Minnesota, and continued at American Woodworker magazine, where he published a series of articles on CNC woodworking techniques. In 2018, Randy co-authored CNC Router Essentials that guides readers through the learning curve of getting started in CNC. But he still enjoys swinging a mallet and pushing a hand plane, because he believes success as a woodworker (hand or machine) is strongly related to a knowledge and practice of the fundamentals – both design and technical. A hobbyist woodworker since 1994, Keith started woodturning in 2012. In 2013 he began experimenting with turning large vessels from highly figured burls infused with casting resins. His process earned him recognition worldwide, and you can find his pieces for sale in art galleries across the United States. He now shares his techniques in magazine articles, demonstrations at woodturning clubs, and hands-on classes. He also enjoys making functional and attractive, everyday pieces like bowls, platters and peppermills using highly figured woods. A self-taught woodworker (he never set foot in a shop class) Steve learned the ropes as a trim carpenter specializing in Frank Lloyd Wright design. That worked into gigs in cabinet shops and as a furniture maker’s apprentice before breaking out on his own. His shop, Natural Elements Woodworking specializes in custom furniture and cabinetry, and Steve is a prolific builder of sculptural rockers inspired by the late Sam Maloof. Hailing from a long line of Italian craftsmen, carpenters, and woodworkers, Jim Larin got his start in technical support in the fine finishing and woodwork department at Fuji Spray. A graduate of University of British Columbia’s Centre of Advanced Wood Processing, Jim takes the complexities of spray finishing and translates them into an easy to follow, step-by-step formula for the end user. His goal: to help sprayers at every level confidently complete any project they may have. Jeff is a designer, craftsman, prolific writer, and an active teacher both at his own woodworking school in Chicago, and at furniture schools around the country. (He's also a former classical musician, and a dad.) His furniture has won numerous awards, has been in shows around the country, and is in the collection of the Chicago History Museum. His book Chairmaking and Design won the Stanley Award for Best How-To Book of 1997 (and his companion video Chairmaking Techniques won best video as well). He has also written the books Beds and Children's Furniture. Jeff’s latest book is called The Foundations of Better Woodworking, and he is a frequent contributor to woodworking magazines. Don’t let his baby face fool you: John Olson cut his teeth in woodworking 25 years ago when he started hanging around his grandfather’s shop after school to begin what would become an informal but intense 11-year apprenticeship. After college he worked for nine years in the 1875-era blacksmith and cabinetmaker shops at Living History Farms in Urbandale, Iowa, before joining the WOOD magazine staff as Design Editor. His educational background has taught him the value of using both hand and power tools in his work. And John has a passion for tool making and forestry; in his free time he can often be found making planes, laminated chisels, and back saws, or milling his own lumber for woodworking projects. A woodworker for more than 30 years, Craig has been writing and producing woodworking content for print, online, and video since 1999. As Deputy Editor, he writes and edits how-to articles while overseeing the production of WOOD videos and WOOD magazine. His teaching experience includes presenting numerous live how-to seminars, and developing and producing a nationally aired woodworking show on public television. Brian Simmons is a nationally known teacher, writer, and turner noted for his versatile use of the bowl gouge and proficient use of the skew chisel. He grew up woodworking with his father and, after seeing a magazine article on turning, became interested in that. Shortly, he began an informal yet cherished apprenticeship with internationally renowned turner Nick Cook. Since then he has studied with David Ellsworth, Willard Baxter, Dave Barriger, and Johannes Rieber, among others. Although he makes reproduction and architectural turnings, gift items, and one-of-a-kind pieces regularly, his real passion lies in teaching, giving his first formal demonstration at age 15. Brian has written for the American Woodturner and is also the Woodturning Consultant for WOOD magazine, where he tests products, designs projects, and produces turning how-to videos. After a 14-year stint in the Canadian Army, Vic completed the Nine Month Craftsman program at Rosewood, then went on to serve as Resident Craftsman at the school, creating fine furniture to commission and working part-time as an instructor. From there he took the helm at Canadian Woodworking magazine as editor. Currently Vic is the Woodworking Technical Advisor at Veritas/Lee Valley Tools. He still designs and builds furniture in a modest shop in his home in Carleton Place, Ontario. Vic authored “The Minimalist Woodworker” (Spring House Press), which deals specifically with the needs of woodworkers that only have a small space at their disposal. Vic truly enjoys sharing his woodworking knowledge and has an infectious love for hand tools and their use. A prolific writer with many published woodworking articles, you can follow him on his blog. George Vondriska was in the sixth grade when he had his first shop class. He decided he wanted to be a shop teacher, so George went on to take every shop class he could, earn his teaching degree in Industrial Education, and teach junior and senior high school. George has found his niche in teaching adults, which he has done for more than 30 years. 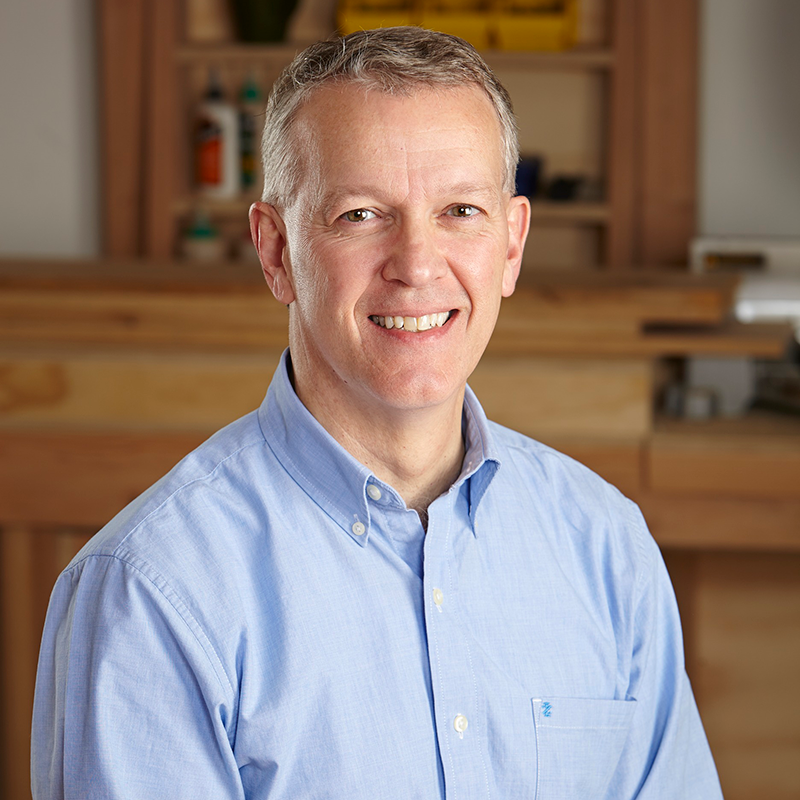 In addition to classes at Vondriska Woodworks, George teaches at woodworking shows and guilds across the country, and you may also recognize his name and face from more than 60 full-length woodworking videos he has hosted for the Woodworkers Guild of America website. George has had numerous magazine articles published, from projects to techniques and tool reviews. A self-taught maker/woodworker, April picked up her first tool in 2013 when she began building the things she couldn't afford to buy. It very quickly turned into a passion. She’s still building anything she needs, but these days she shoots photos and videos of every project she makes and shares those with her large social media following, making her one of the most prominent and inspirational influencers in the maker space. Check out her work on Instagram @wilker_dos.